The BJAAC games had 109 teams participating and attracted participants from Ft. Myers, Fla., Charleston, Savannah, Hilton Head Island and other local communities. Medals were awarded in beginner, intermediate and advanced skill level as well as age groups. As a result 20 different classifications were presented awards. These senior games are conducted annually on approximately the same dates. We welcome and encourage players from all over to join us in this very competitive and fun filled tournament. 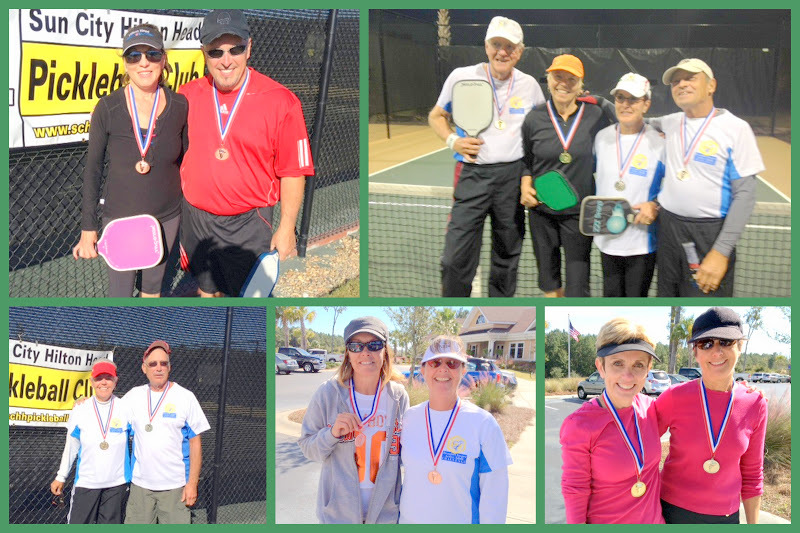 The games are played on courts built exclusively for pickleball, are lighted for night play and provide excellent playing opportunities for the 700 plus members in the Sun City Hilton Head community.